Hello there, I am back today to share another two Clearly Besotted teasers with you. Today I have two Christmas cards to share with you. I have to be honest with you, I am definitely not in the Christmas mood just yet but I am loving these sets! 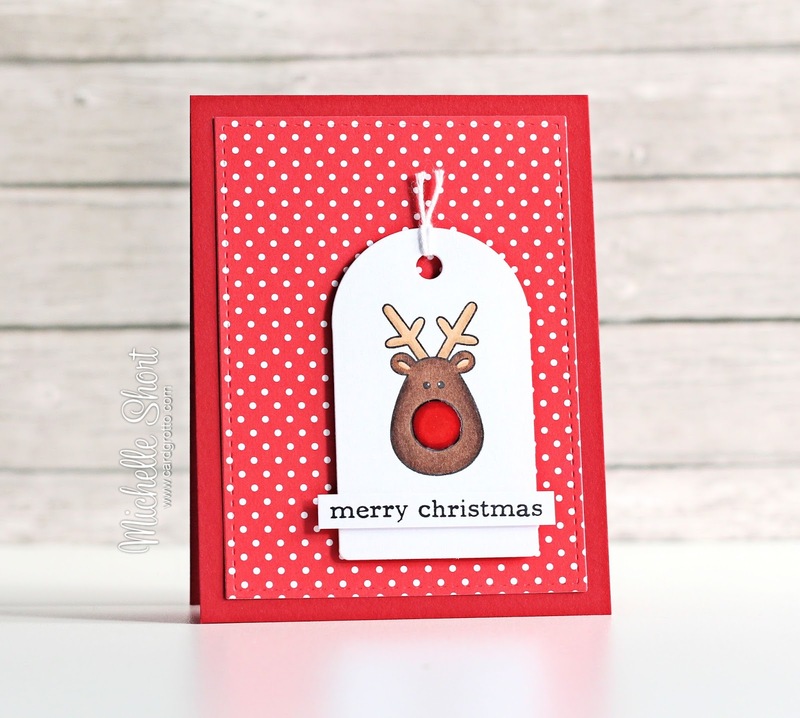 My first card uses the new Santa Baby stamp set. If you loved the elves from last month, I think you are going to love this set too. They are the same size and oh so cute! I took a piece of white cardstock and cut it using the ME Femme Frames rectangle die. 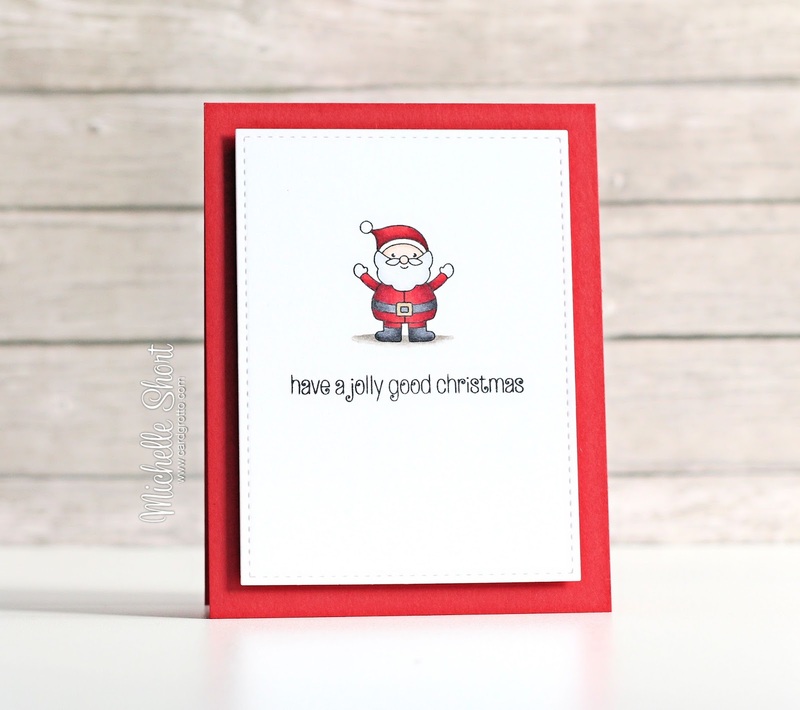 Santa and the sentiment were stamped using black ink. Santa was coloured using Copic Markers (colours listed below the supply list) and I added a little white gelly roll to his hat. The panel was then adhered to a red A2 card base with foam sheet. Here are the links to what I have used on the card. Please click on the picture or wording to be taken to where I purchased it. 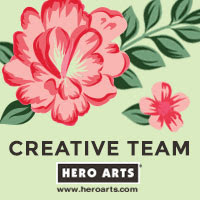 Affiliate links are not used in this product list. COPIC MARKERS: Skin: E11, E00, E000. Beard & Gloves: C1, C0, C00. Suit: R89, R39, R29, R27. Belt & Boots: C8, C7, C6. Belt Buckle: Y28. Ground: W7, W5, W3, W1. My next card uses the new More Sleep stamp set. I love the cute images in this set. I went with Rudolf for my card today. 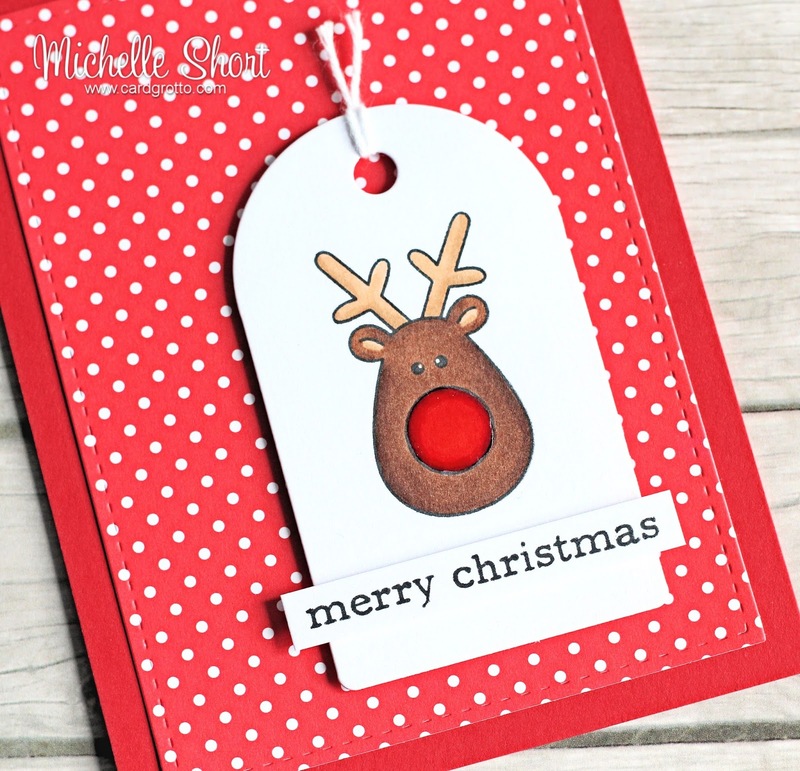 I started off by stamping him on to tag cut using the Rounded Tag Die. He was then coloured using Copic Markers. The sentiment, from the Sentimental Type stamp set, was stamped on to more white cardstock and cut out. This was added to the tag with foam tape. For the card base, I took some red cardstock and made this ion to an A2 size, top folding card base. 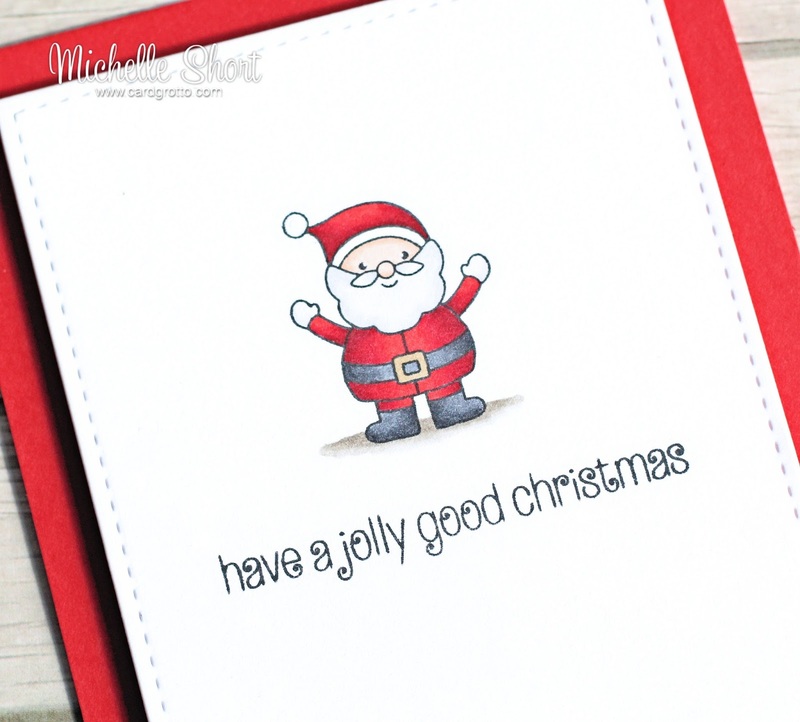 I cut a sheet of paper from the Doodlebug Santa Express paper pad using the ME Femme Frame rectangle die. This was added to the card base and then the tag on top with foam tape. I added a little white twine to the top of the tag. I also added a liberal amount of clear Wink of Stella and Glossy Accents to Rudolf's nose. COPIC MARKERS: E59, E57, E55, E53, R89, R29, R27. Thank you so much for visiting me today. Please pop over to see Stephanie, who will have some amazing cards to share, along with links to the other DT sharing today. 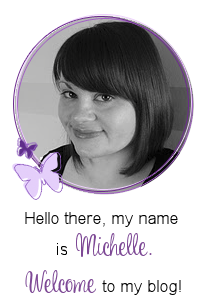 Really nice and cute, Michelle! Love these 2 card, like the clean and simple design. The red is such a happy colour and the images are just too cute. I don't do Christmas till December but these really are very cute! These are so cute...love that festive Santa.